In MEmu 5.3, there is a special side bar for PUBG default control and display setting. You can have the keymapping tips and change game screen resolution easily. In MEmu 5.3, you can change VM setting when VM is power-off in Multi-MEMU. 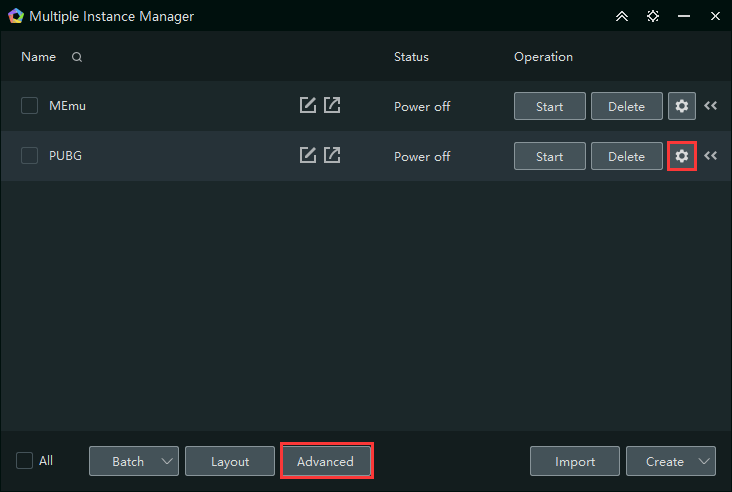 In addition, there is a advanced setting page for all VMs. 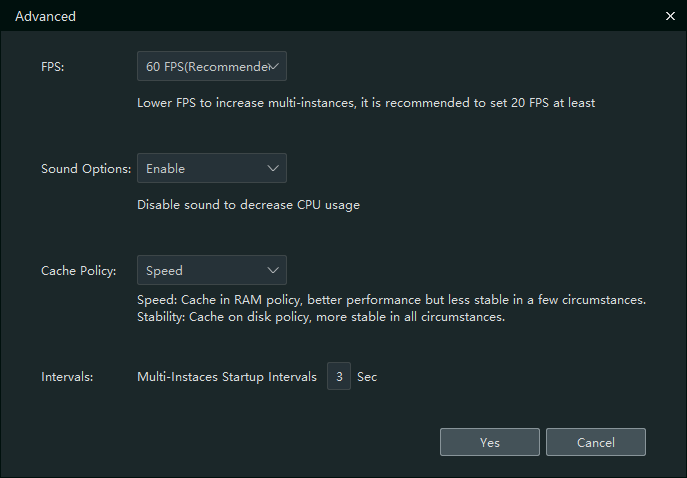 In Advanced setting page, you can change FPS, sound option, cache policy, etc. These most likely will be used in resource-intensive scenario, like running many instances at the same time.